Recently I have been playing around a lot with this nail art mat and a clear jelly stamper from Beauty Big Bang. 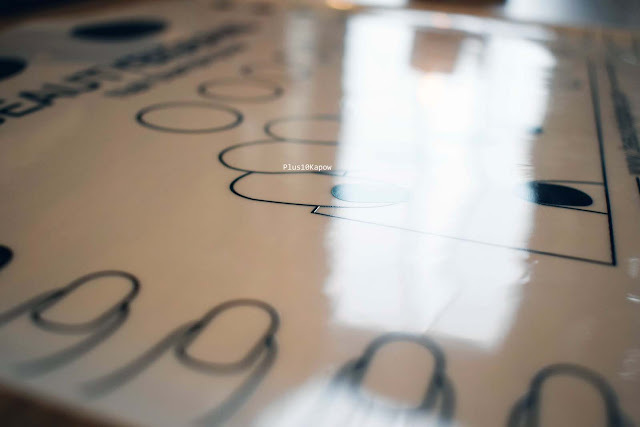 Nail art mats have become a massive part of most nail bloggers set up, it's essential and does so many things, but all of the mats are pretty much the same, and follow the lead of Uberchic's first nail art mat. This one is slightly different though. It has 10 rounded 'nails' on the left of the matte, 5 in black and 5 in white. And it has 10 squared 'nails' on the right, again 5 in black and 5 in white. This makes it really easy to have multiple decals being made at the same time. 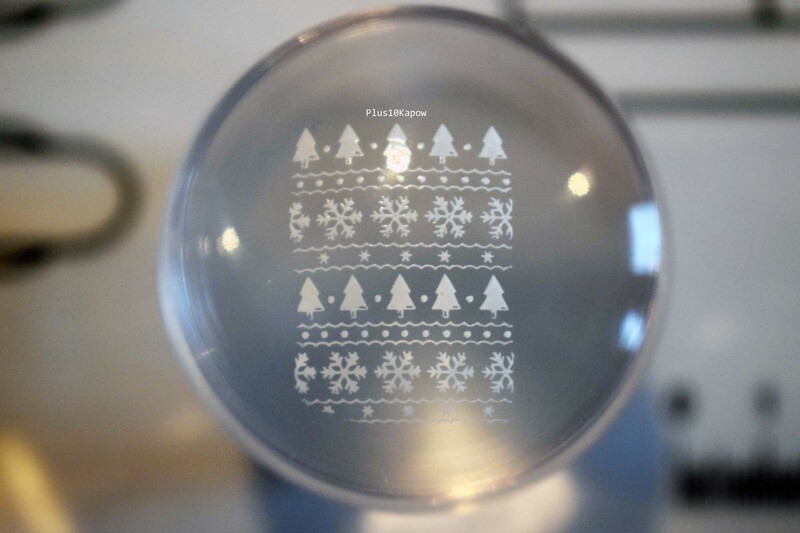 It also has quite a few swatch circles in both white and black and it has a little ruler down the bottom which I am sure will come in handy for some. Now, this mat is not your standard silicone nail mat but that is in no way a bad thing. 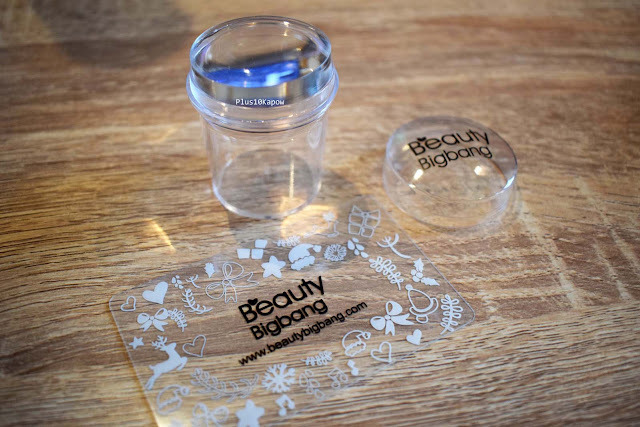 The surface of that mat is a shiny, rubber kind of surface and it has a fantastic grip, meaning that nothing is going to slip or tumbler over while you are working on it, I tried it with the stamper and that sucker wasn't going anywhere, so this is great for those of us with a clumsy nature. 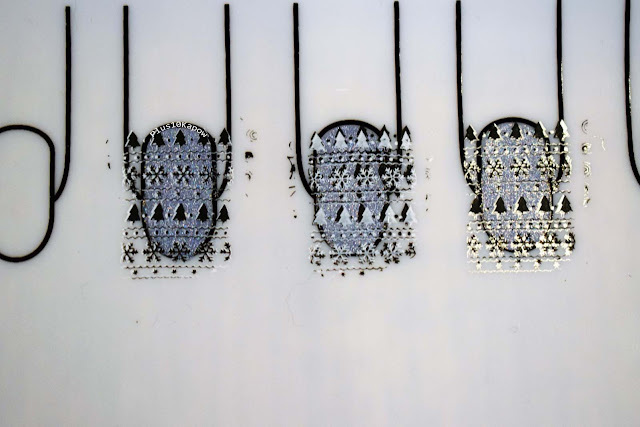 It's also great for stamping. Because the grip meant that the images were pulled off the stamper and onto the mat really well. 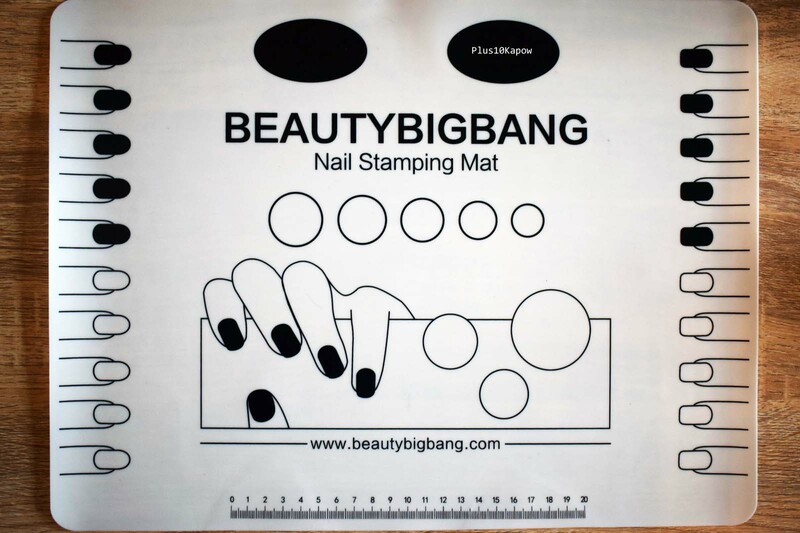 It's a fantastic, all rounder nail art mat. 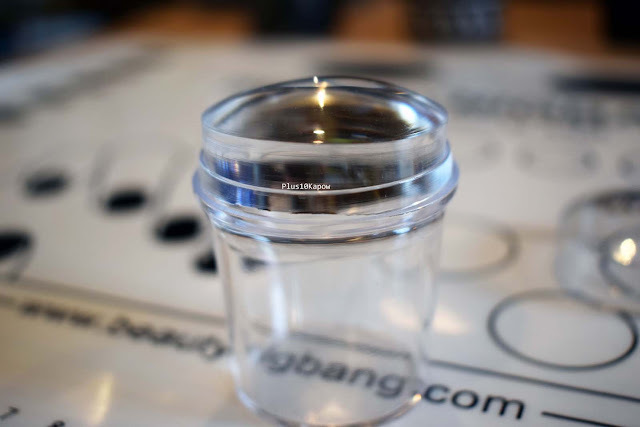 The clear jelly stamper is very much the same as other clear jelly stampers on the market, but it has come at a great time because my stamper that i currently use has seen better days and although I have bought a few different ones in the last few months, none of them were as nice to use as that one. Until now. It's hard to show in photos but this stamper head has just enough 'stickiness' to it to pick up images really crisply and it took zero prepping, straight out of the packet goodness. This will definitely be my new, go-to stamper from now on and I highly recommend it. 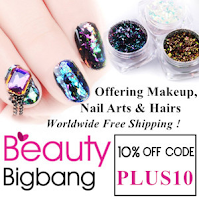 Don't forget that you can use my code PLUS10 for 10% off your Beauty Big Bang order.